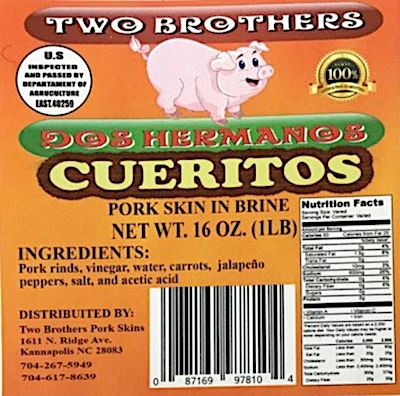 US/Washington: Two Brothers Pork Skins, a Kannapolis, North Carolina establishment, recalls an undetermined amount of Pork Skin products due to suspected production without meeting the US federal requirements to develop and implement a hazard analysis and system of preventive controls to improve the safety of the products, known as Hazard Analysis and Critical Control Points; the omission of safe handling instructions on the package and mislabeling that failed to indicate all ingredients; all serious health and safety hazards. US/Silver Spring: USA LESS, a Brooklyn, New York establishment, recalls certain batch/lots of Leopard Miracle Honey Dietary Supplement ptoducts due to undeclared Sildenafil. 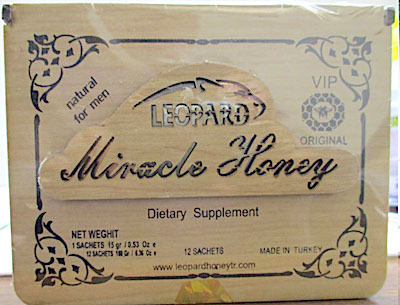 The presence of Sildenafil in the Leopard Miracle Honey Dietary Supplement products, renders it an unapproved drug for which safety and efficacy have not been established and, therefore, subject to recall.